A new version of Emulicious has just been released. The new version extends the debugger with a Find Dialog and helps you track the control flow by highlighting the trace of the instructions being executed. A Reference Hierarchy has been added that lists all references to a specified label. When hovering a control flow instruction its destination will be highlighted now and when it is clicked while holding the CTRL key the debugger will be scrolled to its destination. A new update of Emulicious has arrived! With this new version you can finally enjoy your favorite games in fullscreen! You can enter fullscreen by either pressing ALT+ENTER or from the Graphics menu. The debugger has been extended by watchpoints (aka memory breakpoints) that will halt execution on a read/write of a specified memory location. The memory editor has been extended by a find dialog that allows searching the memory. 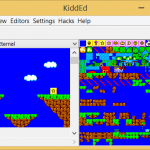 Besides that the memory editor now supports simple table files. Emulicious received a major update! 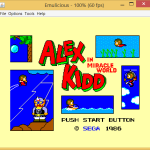 I am pleased to announce the launch of the open beta of my Alex Kidd In Miracle World Editor called KiddEd. For more details click here. Make sure to read the ReadMe to get started. I am pleased to announce the launch of this website and the official release of Emulicious. I hope you like the website and enjoy playing your favorite games on Emulicious.